A full reference guide to AS568 sizing, MIL-SPEC reference guide, static O-ring gland design and material properties reference chart. All in a handheld spiral bound, and laminated booklet. Click to request a copy and find out more. Service? We run rings around the rest. For over four decades, All Seals has been a world leader in servicing and supplying our customers with only the best quality O-Rings, Custom Molded Rubber Products, Seals and Machined Plastics all at competitive pricing. We also offer valueadded services like; JIT/Kanban programs, pre-production and kitting, special markings, packaging options and more. We’re your source for expertise in virtually every area, including; materials, design, prototyping, testing and more. We’ll work with you to set up a custom just-in-time delivery program. Our Electronic Data Interchange (EDI) reduces even more costs and time. We’ll barcode all incoming and outgoing shipments for easy verification and to streamline your receiving process. When it comes to serving you, we’re as reliable as our O-Rings. For more information, quick quotations, expert consultation and responsive customer service call us at 800.553.5054. You need it now? We’ve got it. We can get it for you. All Seals already has it in stock. That’s crucial in today’s marketplace where you have to seal the deal ASAP. You order, we ship. Same day. We stock everything from the conventional to the unconventional. The AS568, “Aerospace Size Standard for O-Rings” is generally considered the U.S. size standard. No matter what you’re looking for, we have it or we can source it. The one thing our products have in common is they’re the industry’s best. Set your own standards – If the O-Ring you need simply doesn’t exist, we’ll create it for you. And if you need help in determining which size and material is perfect for your unique needs, our expert consultants are just a phone call away. There are several different standards to choose from when it comes to O-ring dimensions. The most popular in the United States is the AS568 standard for O-ring sizes and tolerances. Maintained by the Society of Automotive Engineers, this standard allows the user to choose from five different cross-sections with inside diameters ranging from 1/32" to 26". Tube fitting boss seals are included in AS568 as 900 series O-ring sizes, and are intended for use in MS33649 (now superseded by SAE-AS5202) straight thread tube fitings. Of the multitude of different O-Ring dimension standards in existence, the most popular in the United States is AS568. 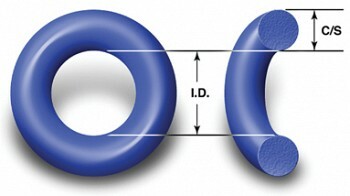 Formerly known as ARP 568, and currently maintained by the Society of Automotive Engineers, AS568 lists 369 sizes of O-Rings with corresponding dimensions and tolerances. 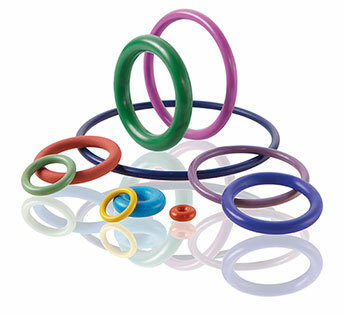 This standard offers O-Rings in five different cross-sections, with inside diameters ranging from 1/32" to 26". Tube fitting boss seals are included in AS568 as "-900" series O-Ring sizes, and are intended for use in MS33649 (now superseded by SAE-AS5202) straight thread tube fittings. 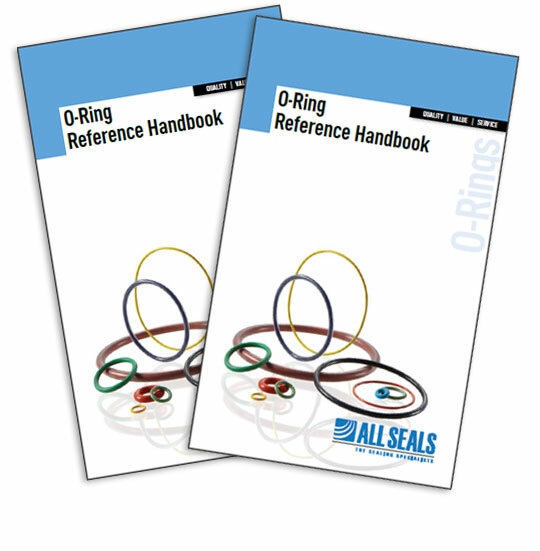 All Seals also offers a wide array of metric and non-standard O-Rings. As a subset of the metric sizes offered, we stock many Japanese Industrial Standard (JIS B2401) sizes. If a special size or specific chemical resistance is required, All Seals can provide custom O-Rings, specially made to your demanding requirements.